18TH CENTURY FRENCH WALNUT FARM TABLE TOP WITH CUSTOM MADE LOUIS XVI STYLE BASE. TOP, CIRCA 1790. 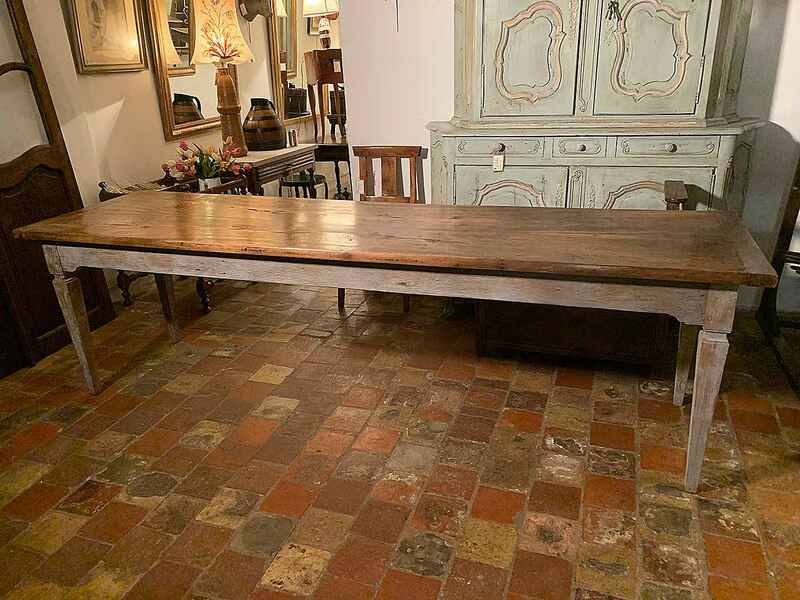 H 30½" L 104¾" W 28" APRON 24½"
18TH CENTURY FRENCH WALNUT FARM TABLE TOP WITH CUSTOM MADE LOUIS XVI STYLE BASE. TOP, CIRCA 1790. H 30½" L 104¾" W 28" APRON 24½"